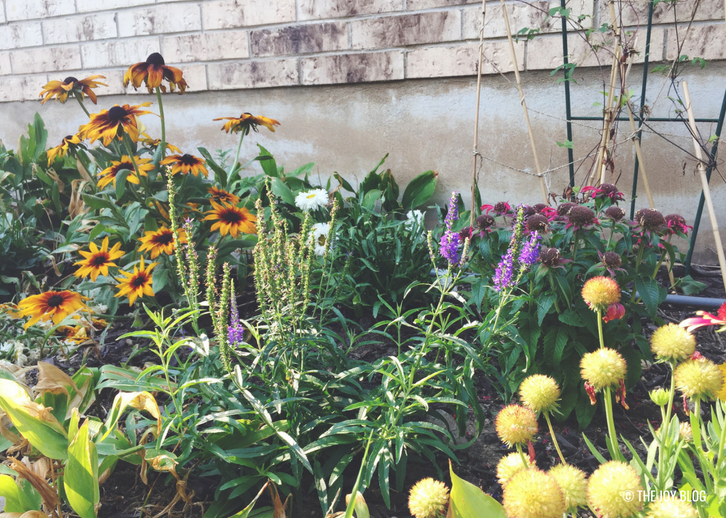 Here's a little update on the perennial flower bed I planted. 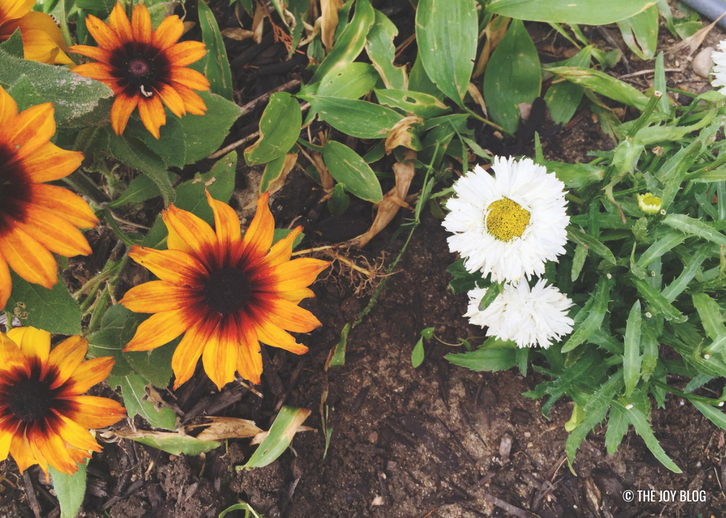 I've added a few more plants over the past few weeks including a smaller variety of yarrow, and another variety of Shasta Daisy with fringe-style petals. 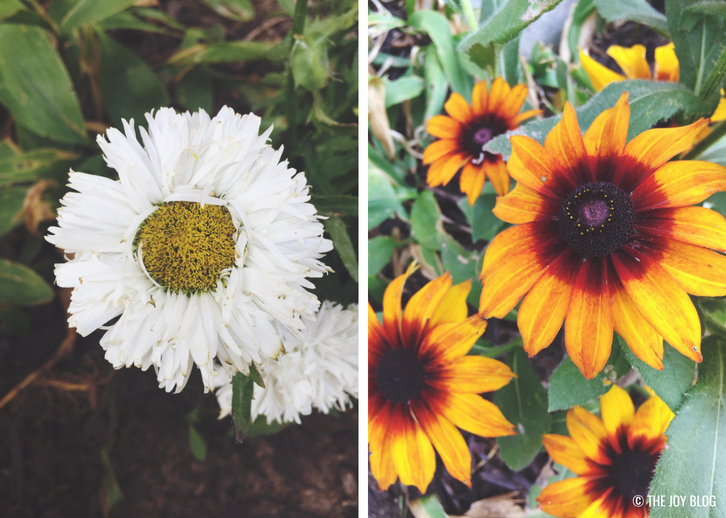 To see a list of the original plants I planted, click here. 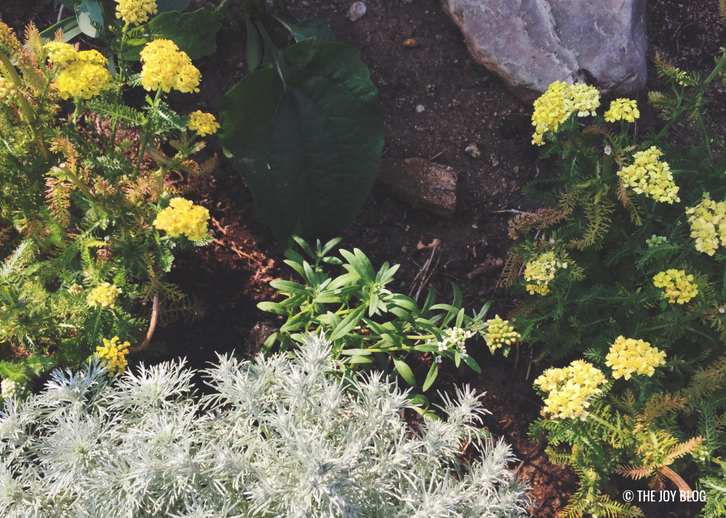 This little flower bed is one of the local bees' favorite! Every time I come outside, they are buzzing all around the flowers and are very busy collecting pollen. The only place I see more bees in my garden than in this flower bed is over in the veggie garden on the radish I let go to flower. They go NUTS for that thing. Who knew bees loved radish flowers so much? The other flower bed I've been building this year is one with roses. I've put 3 large rose bushes, and several mini roses together. I've also interplanted fall mums with them. 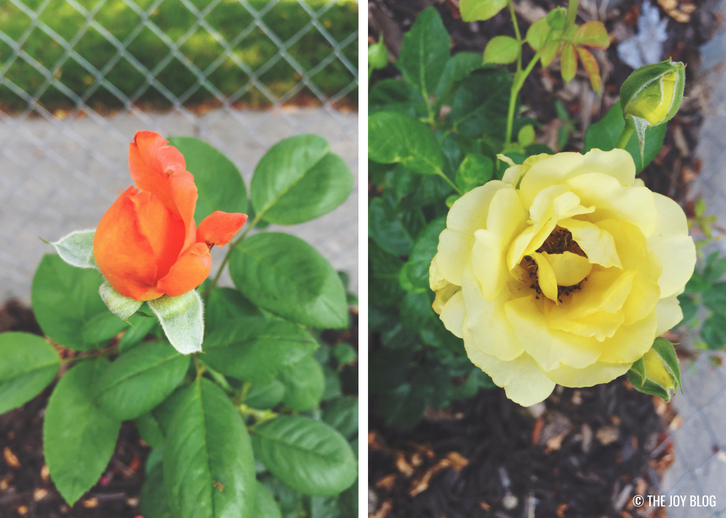 Currently the roses are in bloom and I love seeing their bright colors. The coral one (a bud pictured below) is insane when in full bloom. 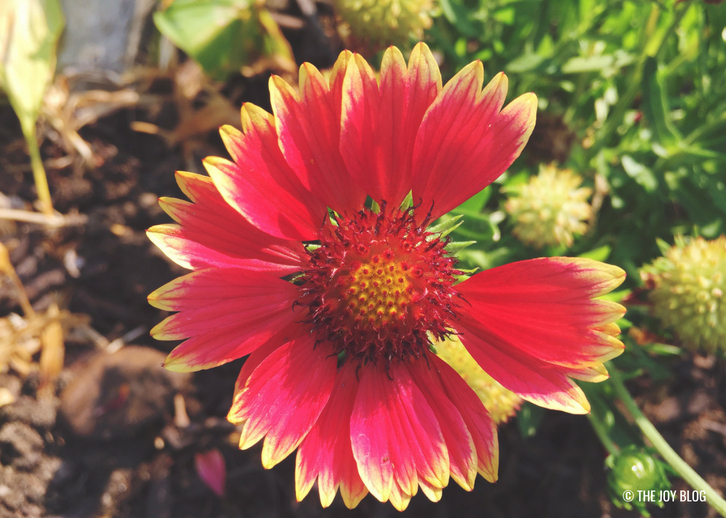 They are almost the size of a dessert plate, and the color is so vibrant you can see it from down the street! 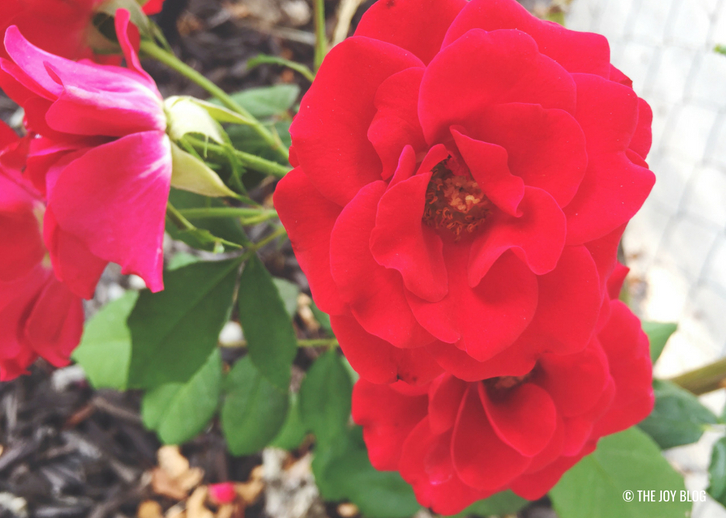 The bright reddish/pink blooms below are from the rose I moved from the deep shade in the backyard. It looked pitiful like it had never had enough sun to bloom, and had very little branches or root structure. In fact, most of the roots broke off in the moving process, and I was sure it had died, but I left it just to see what happened, and one day I couldn't easily pull it out of the ground. It seemed dormant for most of the season, until a couple weeks ago when it sent out a cluster of buds, and this gorgeous color came out. I'm so glad I kept it. The blooms smell somewhat like cloves. 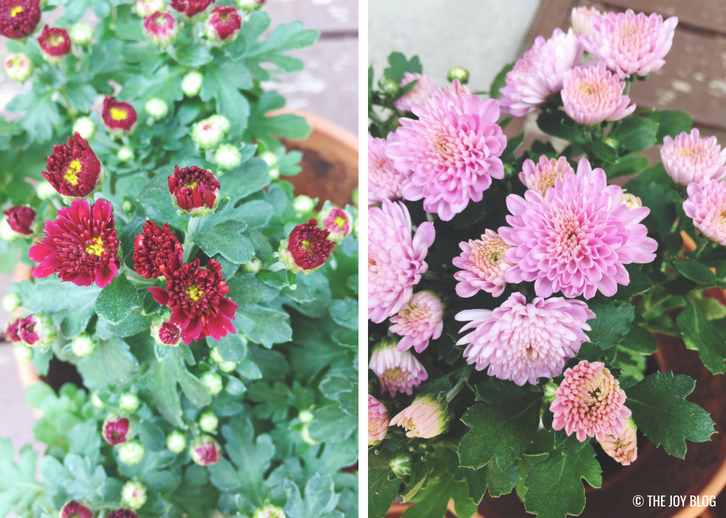 I'll be adding a few more fall mums to my garden this year, and picked up these cute ones for super cheap! 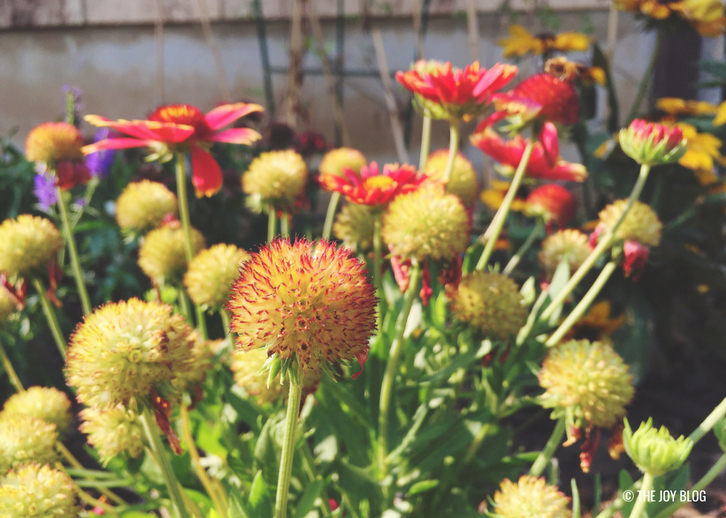 ++ What are your favorite garden flowers?